Who can qualify in WI for a sales tax exemption on utilities? Any manufacturer or industrial processor can qualify for a sales tax exemption on utilities used in production of tangible personal property (a product). A utility study is required which determines the percentage of production and therefore the exempt portion of sales tax paid (on that utility meter). How can one obtain the sales tax exemption on utilities in WI? A sales tax exemption certificate Form S-211 must be filed with the utility company. The utility study must also be on file to verify the exempt portion of utilities. Utilities used for non-production uses such as office, HVAC, and lighting are not taxable uses; only the portion of consumption in production is exempt. When the S-211 is on file, the utility co. reflects the reduced sales tax rate on the bill by the appropriate exempt percentage. Does the State require that the exemption certificate and the utility study be completed by a professional utility engineer? No. WI does not require that the exemption certificate and utility study be completed by a professional. However most companies in WI choose to have the study completed and certified by a professional. This avoids the utility co. coming to the customer for back taxes. What does the utility study entail? A detailed list of every piece of equipment and appliance that uses the utility in the production process, e.g. electricity. A calculation of the individual annual KWH consumption must be included on the list. An identical list is to be completed for all equipment and items consuming electric for non-production usage. The calculation of the production % of consumption is determined from these lists. This is the reason for the high level of accuracy required by the utility study. 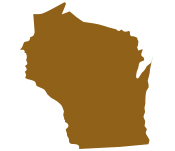 What is the scope of a Professional performing the utility exemption work in WI? Accurate completion of the utility study: The utility study is completed, certified, and filed by On Your Mark. There is no charge for the study and its evaluation until the savings has been approved. Claim for refund: An exempt utility meter can qualify for a refund of up to 36 months for prior sales tax paid. On Your Mark will file a refund claim when a refund is available. Does filing of the utility exemption and/or refund claim raise any red flags? No. This exemption is similar to every exempt purchase for which an exemption certificate is filed with the supplier. The only difference with the utility exemption is that a utility study is required to provide documentation of the production percentage. Entire process handled from start to finish: Once On Your Mark is authorized to file on behalf of a client, the exemption work is performed entirely by On Your Mark. There is very little if any time and effort required of the client. Typically the exemption is completed and filed in 30 days. On Your Mark handles all filings and all questions and communication from the utility company and the state. Risk less Method to Obtain the Utility Sales Tax Exemption: On Your Mark performs the utility study, certification, and refund claim at no charge. If there’s no savings, no fees. The only fee to the client occurs after the exemption and refund claims are approved, and the client receives savings. Benefits of the sales tax exemption on utilities: Once the sales tax exemption is approved, the client obtains a permanent 4-7% savings. The exemption is valid for 3 years and may be renewed at expiration. Start the process now; spend no time and have it completed in 30 days. Contact Mark Winski today!